Info Day of adesso AG Wednesday, February 13, 2019: Due to the success of the last rotational internship cycle, adesso AG offers such an internship for computer science students of CUAS in the summer semester 2019 again. On the basis of a Geodata project, students will take the typical roles of a project by job rotation, eg Requirements Engineer, Consultant, Software Architect, Test Analyst, Scrum Master, etc.,. The internship will be held at the adesso Cologne location. 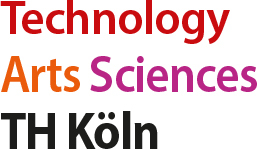 Students of all computer science programs are invited to attend the info and application day Wednesday, February 13, 2019 at the TH Cologne (Campus Gummersbach). Further details in the attached flyer. 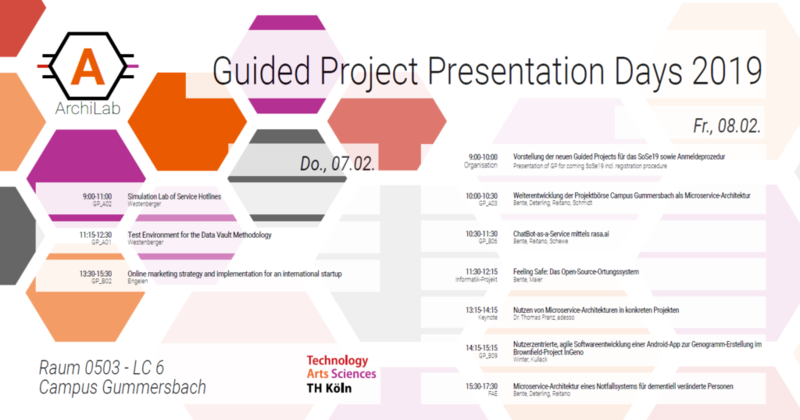 There will be a Presentation Day for Guided Projects on Friday, 05-October 2018, 9:00 – 12:15. Everyone is welcome. Note for GP participants: you need to peer-review other lectures in order for your own project to count, so this is a good opportunity! Am Freitag, 05-10-2018, 9:00 – 12:15, findet wieder ein Guided Project Presentation Day am Campus Gummersbach (Raum 0503, Ferchau-Gebäude) statt. Der Tag steht allen Interessierten innerhalb und außerhalb der Hochschule offen. Eine Anmeldung ist nicht nötig. Hinweis für GP-Teilnehmer: Sie müssen ein Peer-Review anderer GPs durchführen, damit Ihr eigenes GP zählt. Dies ist eine gute Gelegenheit! Regys Mene, Hartmut Westenberger and Hrvoje Husic analyze in their publication „Reference Models for the Standardization and Automation of Data Warehouse Architecture including SAP Solutions“ the relation between SAP’s Layer Scalable Architecture (LSA) and the Data Warehouse Architectural Reference Model (DWARM). While LSA was primarily designed to standardize and automate a SAP centric BI architecture, DWARM is not platform-related. Mapping LSA on DWARM supports embedding of SAP building blocks in a heterogeneous BI landscape. Next important milestone is the project presentation on Fr 27.07. 9:00 in room 0503 (first agenda item for the GP presentation day). 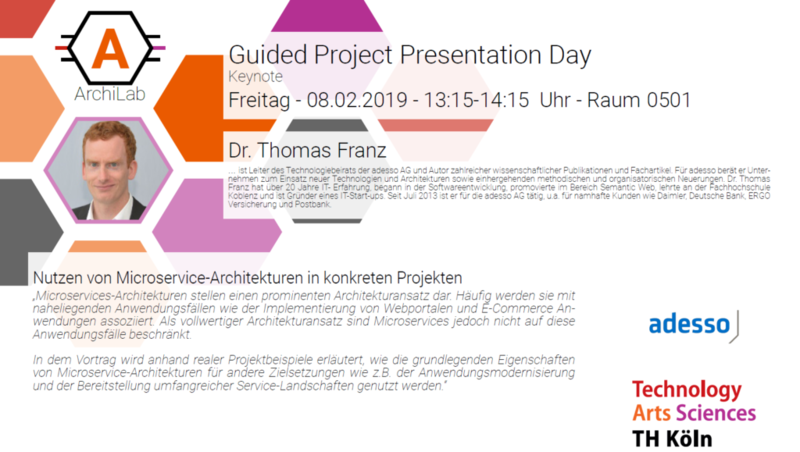 There will be a Presentation Day for Guided Projects on Friday, 27-July 2018, 9:00 – 18:00. Everyone is welcome. Note for GP participants: you need to peer-review other lectures in order for your own project to count, so this is a good opportunity! Am Freitag, 27.07.2017 von 9:00 bis 18:00, findet wieder ein Guided Project Presentation Day am Campus Gummersbach (Raum 0503, Ferchau-Gebäude) statt. Der Tag steht allen Interessierten innerhalb und außerhalb der Hochschule offen. Eine Anmeldung ist nicht nötig. All presentations are public and everyone with interest is welcomed. Please note that all GP participants need to provide peer feedback to as many GPs as they attended themselves (A or B does not matter). So the presentation days will provide you with a neat opportunity to give that feedback. At the same time, the Presentation Days may be a good opportunity to learn about the research topics of our professors – might be useful if you are looking for a master thesis topic. The coming Guided Project topics for SS18 will be presented in the first timeslot of day 1 (i.e. 16.02. 9:00). The Presentation Days are open events. Anyone interested is invited to join, also from outside the Master Courses, our external to TH Köln. Bitte denken Sie daran, dass alle GP-Teilnehmer ein Peer-Feedback für so viele GPs abgeben müssen wie sie selbst absolviert haben (A oder B spielt keine Rolle). Die Präsentationstage sind daher eine gute Möglichkeit, dieses Feedback gesammelt zu geben. Darüber hinaus könnte es ja auch interessant sein, welche Forschungsthemen die Dozenten in ihren Projekten verfolgen – besonders wenn Sie noch nach einem Thema für Ihre Masterarbeit suchen. Die Themen für die kommenden GPs im SS18 werden an Tag 1 (16.2.) um 9:00 präsentiert. Die Präsentationstage sind offen für alle, auch außerhalb der Masterkurse und auch außerhalb der TH. Jede(r) Interessierte ist herzlich willkommen!